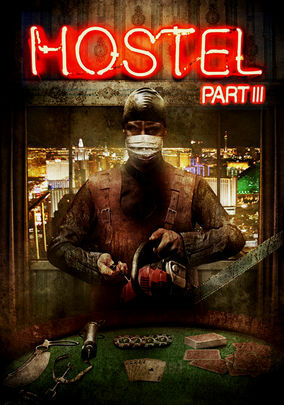 Hostel: Part III (2011) on Netflix India. Check worldwide Netflix availability! If Hostel: Part III isn't available in your country, or you are visiting a country where it isn't, there is still a way to watch it! In this installment in the popular horror franchise, a bachelor party in Las Vegas turns into a hellish bloodbath for all involved. A bachelor party is supposed to be all strippers and booze. Who invited the sadist in surgical scrubs?